this blog post is an ode. where cheerful but un-useful pots were given a second chance. out front of the studio. a cup found far from home. and now, a huge gaping hole. all at once. where someone took my garden love and made it theirs. i knew it would happen. i didnt even think i d mind. 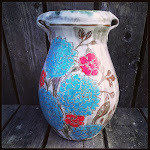 of blistered pinholed faultily glazed bowls. enough to take them home and use them in their state of fault. but some how i am offended. the blank hole not filled. i took away the garden hands today. and replaced them with a fence. its witty and well written. and for the art lover, its definitely inspiring. one of the writers of fantastic spatula is my colleague. she is a fellow artist and a native carteret county-an... the gifted and talented shannon kemp! you might recognize her name from when i did an art show here in beaufort with her and another colleague (christal weatherly) last july. 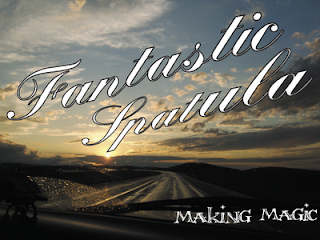 so, on saturday may 21st guess what nc artist the fantastic spatula featured? yep. yours truly. go see for yourself! anyhoo, tis the season to sleep in the studio! gotta go make pots! and as always, wishing you well! its a good weekend to be in the mountains! 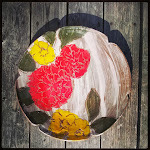 this weekend up in asheville is the Kenilworth Artist Association's Spring Studio Tour. this semi annual event is really special to me for two reasons. first, because it is the neighborhood where my folks have been living for the last 12 years, and you know what they say... "home is where your mom is". which also bring me to my next point. one of my dearest friends kathie kline, and her husband robert are on the tour hosting a number of artists at their home. make sure to put her house on your list of stops. you can see her website here. the event has really gained a lot of momentum in the last few years. if you are in the area, make sure to hit up the tour. its going to be great! also, this weekend begins the annual Haywood Community College graduate show. as a proud alumni i want to encourage yall to stop by the folk art center at mile marker 382 on the blue ridge parkway, outside of asheville. i am truly amazed the amount of talent this program puts out every year! and, since you are in the area and making a weekend out of art. head on out to bakersville and check out michaels kline's pottery. bakersville is a truly lovely part of wnc. 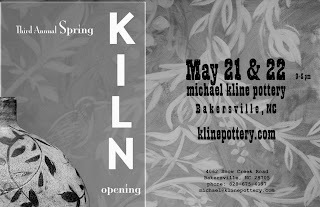 the drive out there is beautiful and michael kline's pots are amazing. they are a huge inspiration to me. i guess that all for now! but as i rode my bike home from the studio last night, the smell of jasmine, spiraling softly though the cool evening, i am reminded why i love it here. the moon reached full at 7:09 a.m. yesterday. the tide was so high it was nearly spilling into the streets. and i feel blessed that this is my commute from shutting down the kiln. the man in the moon makes taylor's sparkle and dance and it takes my breath away. it was a big fun weekend here in beaufort...BEAUFORT MUSIC FEST!!!! american aquarium - southern rock-ish. they were brillaint at the backstreet pub that night. onward, soldiers - recently performed at the legendary sxsw music fest in austin, tx. no words to explain their greatness. well, except greatness. if they are coming to a town near you...go. seriously. and of course..... justin townes earle. god, he's so cool. even without his band. i m so excited to get to the studio! time to fire!!!! the pots are piling up everywhere and i'm running out of room. 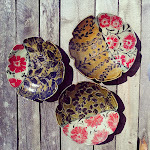 but, i ve got a lot of pots that i'm super stoked about. first, i have to refire the last bisque that was grossy underfired. as always. wishing you well and thanks for reading!